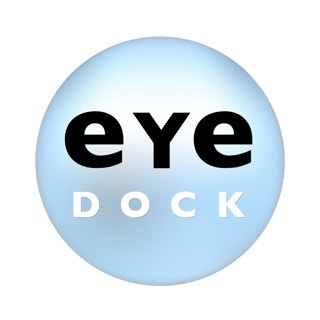 Eyetube provides free digital access to the world’s largest online surgical video archive dedicated to ophthalmologists. 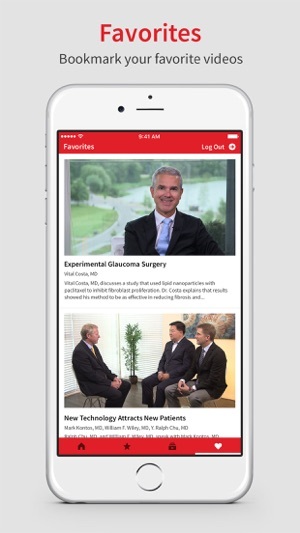 It delivers more than 3,000 videos and is the only online archive of fully narrated ophthalmology videos. 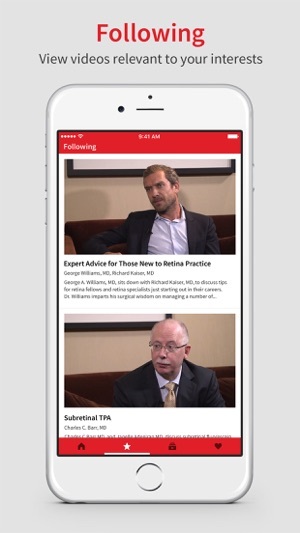 Eyetube offers eye care professionals an expansive range of multimedia content covering seven ophthalmic subspecialties as well as symposia, roundtable discussions, product descriptions and interactive discussion boards. 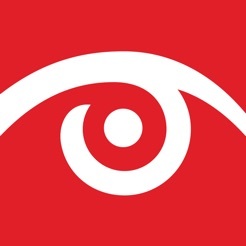 Dedicated sections are provided for specialists in cataract and refractive surgery, retina, cornea, glaucoma, oculoplastics and laser vision correction. 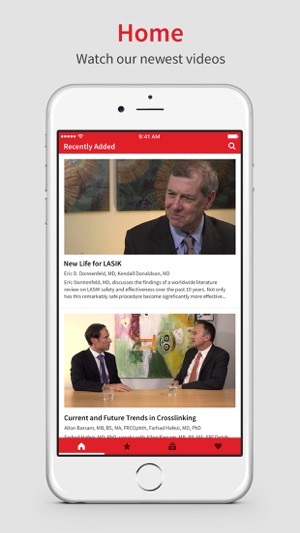 The library also includes as extensive collection of cutting-edge videos in ophthalmology practice management and breaking news video coverage of major ophthalmology professional meetings and conventions. Following tab based on keywords you selected during registration and profile. 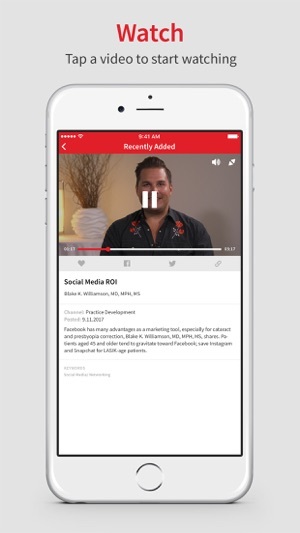 Video details page with favoriting capability and social sharing. Trying to search by more than 1 keyword instantly crashes the app. Just like the site, it's easy to navigate and find great surgical pearls. This is handy app to have on hand in case you need a refresher on the way to the OR! I can't get this app to do anything. 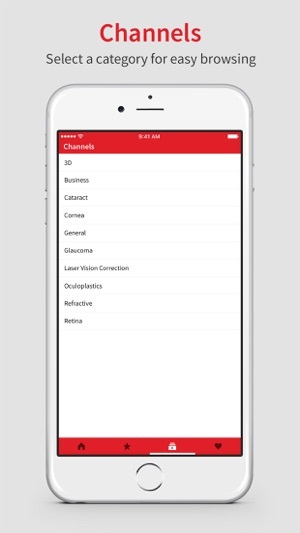 When I open it, it shows two blank windows, channels and video but they have no content. There is also a search box, but although it brings up the keyboard, nothing shows up when I type. I've tried uninstalling and reinstalling and still no luck.